10 Pinnacle Valley Drive, Candler, NC 28715 (#3415844) :: Robert Greene Real Estate, Inc. 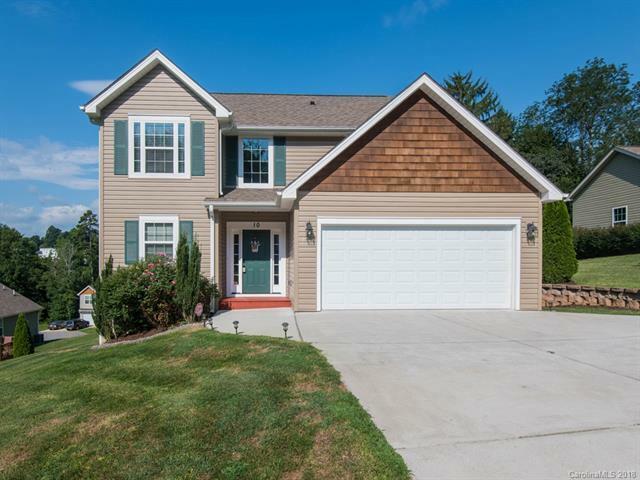 Meticulously maintained, like-new home in desirable Candler. Enjoy the feel of suburban life while being close to all of the excitement that Asheville has to offer. Located only 10-15 minutes from Haywood Road, Downtown Asheville, and the Blue Ridge Parkway. As you enter the home, enjoy the grand foyer that is open to the second story ceiling. The lower level has a semi-open floor plan with a large kitchen. The Master's suite boasts beautiful vaulted ceilings with a large en-suite and walk-in closet. The home also offers plenty of storage areas. Enjoy quiet evenings on the large back deck while taking in the gorgeous mountain views.